This post has nothing to do with wine, but everything to do with life. Today, as usual, I’m working in my home office—an added-on room with windows on three sides—and rejoicing in the beautiful weather and the views of the farm where I live. My two horses (pasture ornaments these days) are grazing contentedly, and a summer thunderstorm is rolling in. About a year ago, I noticed a beautiful hunting bird—a pair of them—swooping and soaring along the distant back fenceline. The bird had a wingspan like an eagle, a short white head like a hawk or an owl, and a graceful swallowtail that it used for steering. 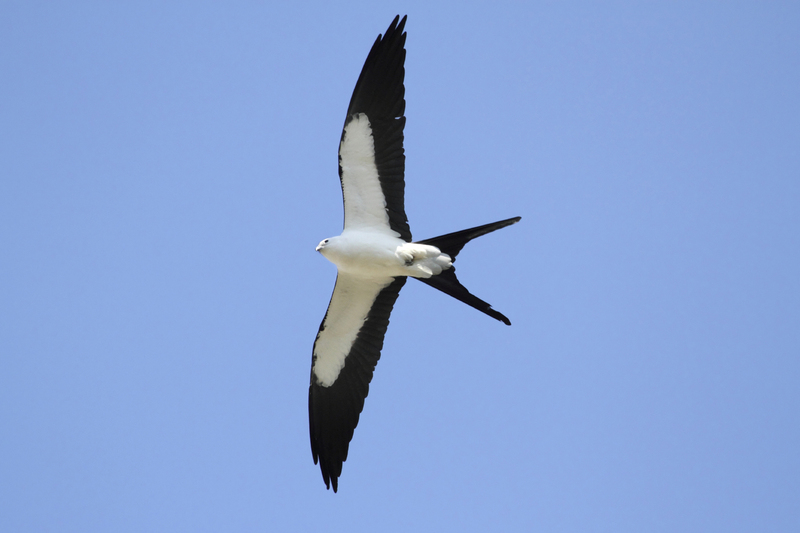 Ever the Google wonk, I learned it was a Swallow-Tailed Kite. I have enjoyed watching their adventures during all these months, and have gratefully watched their population grow. However, this week has brought a tremendous gift: for the first time, I’ve been able to see them up close. They have started swooping past my office windows! With light undersides, they are even more beautiful close up. The bird’s duality is amazing: the body, coloring, and, for all I know, the temperament (they mainly eat bugs), resembles a dove, yet they wear the cloak of a large hunting bird. Earlier this afternoon, at least 18 of them were here, taking turns perching in a nearby tree and then swooping into their soaring ballet. Dozens of times, one or two of them flew inches from my window—and with each experience of them just 10 feet away, I felt a joyful thrill of goose-bumps from the top of my head down to my toes. Just breathtaking. A friend tells me these birds are harbingers of good fortune. I believe it with all my heart. May you, too, experience the joys of summer and the blessings of good fortune. This entry was posted in Art and Music, Travel. Bookmark the permalink. Stunning birds. It is well worth the time to enjoy watching them and appreciating that they are part of your surroundings!! They were just breathtaking when they barnstormed my office last week. Unforgettable!